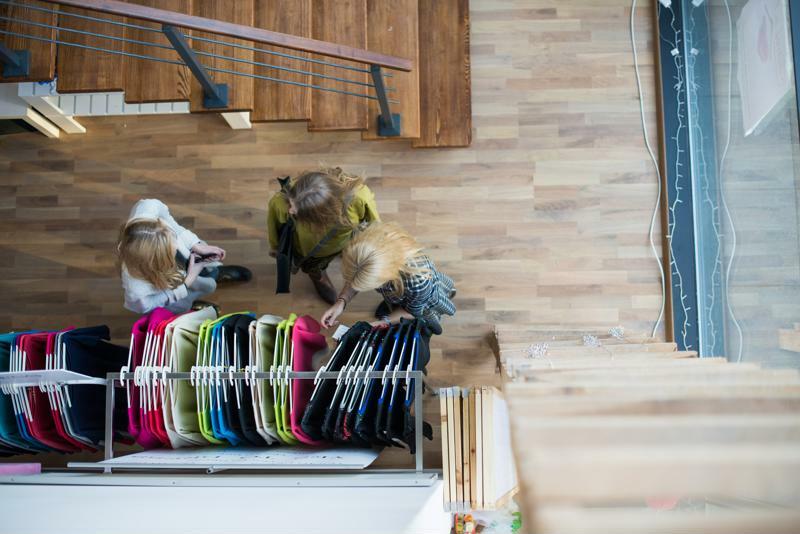 How can you unify the retail customer journey? Can you create a consistent experience across every channel? The Takeaway: Consumers are shopping across many devices, and as a result, they're interacting with multiple channels. It's called distributed commerce and it's dramatically changing the customer journey. Here are some tips on how to unify and bring consistency to that crazy path to purchase. Approximately 60 percent of purchases happen after customers browse for items across more than one device and at least two channels. More than 75 percent of online shoppers start buying on one device only to complete that purchase on another, ThinkWithGoogle reported. Seventy-six percent of consumers who use their smartphone to search for a product visit local businesses for that product within 24 hours. Around 34 percent of millennials (20 percent of adults) said they move between devices while in the middle of shopping on ecommerce channels, Adobe found. "Shoppers visit/use at least 6 channels/devices on their path-to-purchase." How many devices and channels are we talking about exactly? RetailDive indicated that shoppers visit/use at least six on their path to purchase. You can look at this data in a few ways, but these stats should really be seen as an opportunity. If your brand can unify that six-channel journey and provide a consistent message/brand voice across all of them, you'll be at a significant advantage over others. How can you capitalize on the modern retail customer journey and meet distributed commerce demands while still maintaining consistency in marketing messaging? As Neil Ackerman, global ecommerce director at Mondelez, stated in a recent interview with RetailGeek, etailers like Amazon have the same goal as your brand: provide customers with great shopping experiences. So in that regard, there isn't a lot of risk associated with putting products on Amazon - you can trust that Amazon is doing things in good taste, Ackerman explained. Furthermore, 44 percent of U.S. shoppers head directly to Amazon to search for products, Marketing Land reported. That's how you get found. The age of distributed commerce brings a new customer journey with it. It sounds like we're just making the case to put your products on Amazon, right? Wrong. AdAge cited HookLogic data indicating that Target, Best Buy, Macy's and Walmart all saw traffic triple (on average) on Amazon Prime Day. This jives with the cross-channel data, and if your products aren't equally available on those other channels, then shoppers will be less likely to buy those items. Of course, there are competing camps when it comes to putting your products all over the web. After all, if you are selling items through third-party ecommerce sites, you're losing control over your brand's and your product's image. While that's correct on some level, major ecommerce sites are making it easier for your brand to maintain its image and messaging. Ackerman pointed out that Amazon makes it possible to bring life to product pages. Walmart practices a similar tactic, allowing companies to submit product content to their site. Then there's the Google Manufacturing Center, a new project from Google that gives brand manufacturers the opportunity to stream product info directly to Google - and your products will be better represented in Google searches. Then, to ensure consistency in that product content across multichannel customer journeys, you just need a process and the technology to create a single set of product truth from product design to launch. So that solves multichannel, but really only in the digital sphere. "Carry customer data over from one channel to another." The next step is to unify digital shopping with physical retail and provide a consistent experience. We delve into this topic in another blog post, so to be brief: You need to use technology to your advantage, much like Rebecca Minkoff, Lowe's and other brands are doing. That entails carrying customer data over from one channel to another, via a retail app, a clienteling app or whatever else you can realistically implement. To learn more, check out that other post. The best way to optimize the retail customer journey as consumers move between devices lies within your consumers' behaviors and the data that those interactions and experiences generate. In other words, you need to fully understand the path to purchase for your products specifically. 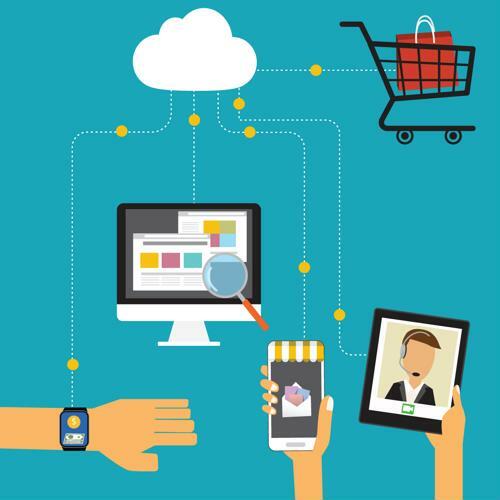 A recent blog post on IBM's Big Data & Analytics Hub argued that collecting data on each step of that customer journey is the only way to truly identify what devices your customers are using. With insight into that path to purchase, you can create stronger, more engaging experiences between channels that your customers use. If shoppers tend to move from smartphone to store, maybe create an app that sends a notification to their phones indicating where to physically find items. If customers are starting on social before heading to your site, consider offering social profile connectivity to their ecommerce accounts. It's really up to your brand and its customer base. Unifying customer journeys won't be easy, but by starting small and ensuring consistency in product content across channels and devices, you'll be on the path to distributed commerce success.